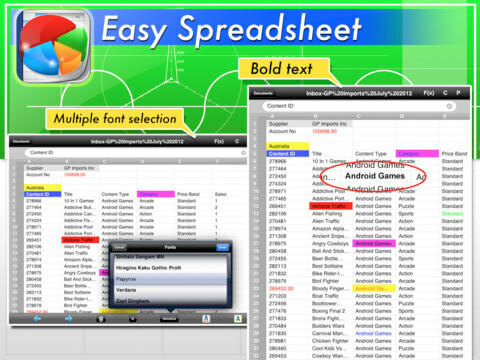 As you may know a spreadsheet is a program for organization and analysis of information in tabular way. 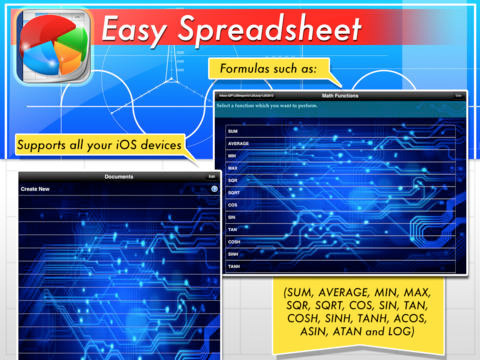 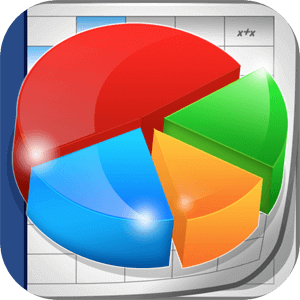 Spreadsheets developed as computerized simulations of paper accounting worksheets. 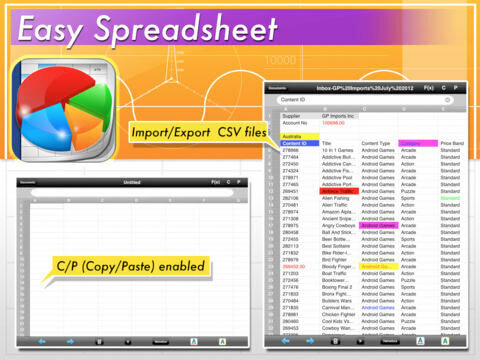 The program operates on data expressed as cells of an array, organized in rows and columns. 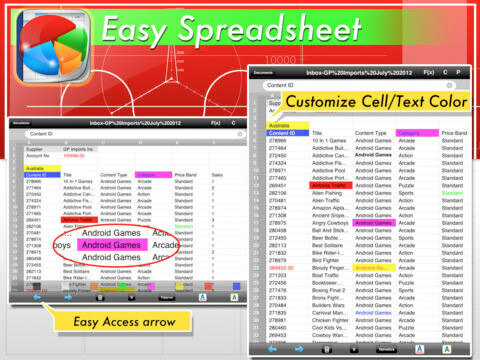 Each cell of the array is a model–view–controller element that can contain either numeric or text data, or the results of formulas that automatically calculate and display a value based on the contents of other cells. 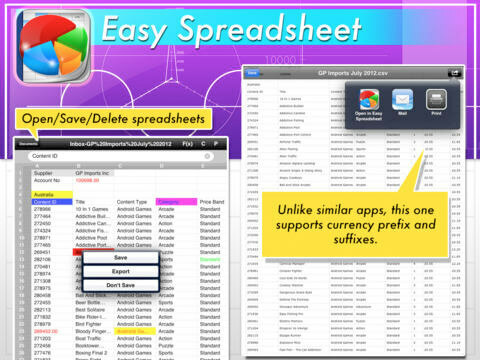 Unlike similar apps, this one support currency prefix and suffixes.